24 May 2009: While India, like many other regions, has always had local councils of some sort, the mechanisms in existence today are rooted in the period during which it was a colony of the United Kingdom. A major foundation of the British roots of Indian local government was Lord Ripon’s resolution of May, 1882, on the subject of local self-government covering the structure and establishment of local bodies, their functions, finances and powers. This is the root of local self-government in post-Independence India. In the context of the Indian Constitution, local government bodies are the subject of the State List and are thereby governed by State Statutes, or in the case of Union Territories, by the Union Parliament. Federal recognition of local government was substantively expressed in the 74th and 73rd Constitution Amendment Acts of 1992. The former pertains to urban local government and the latter to rural local governance. A primary reason for the delay was that local governments were perceived to be rivals, rather than complements, by state governments. Hence, local government was generally not a level that was maintained with commitment and sufficiently empowered in the post-Independence era. For that reason, it could be said that even by 2004, the state of West Bengal distinguished itself by its commitment to having regular local elections once the current ruling party of West Bengal came to power in the 1970s. In other states, these bodies were frequently superseded for long periods by state governments. West Bengal’s commitment to local government in fact had an important role to play in the national recognition accorded local government. Its commitment inspired the 1992 Amendment Acts that formally gave constitutional recognition to local government. However, it can also be said that there is today a growing awareness of the need and importance of local self-government as that of a provider of services to local communities and as a mechanism for democratic self-government. There are currently two distinct types of local government system: the urban local system and the rural local system. The structure of the latter is covered by the 73rd Amendment Act, which provides for a multi-tiered system of self-governing units and will not form the subject of this article, which focuses on urban local government. As illustrated in a Wall Street Journal article entitled “Megacities Threaten to Choke India” published on 14 May 2009, which also refers to City Mayors data about growing Indian cities, Lord Ripon’s ghost is evidently failing urban India’s growing needs. As pointed out in this article “[a]cross India, poor migrants keep streaming into cities like Lucknow, many of which are woefully mismanaged and ill-equipped to handle the influx. India has at least 41 cities with more than one million people, up from 23 two decades ago. A half-dozen others will soon join the megacity list. Urban experts say the risk is now rising that some of these cities could face the same fate as Mumbai and Calcutta, which became synonymous with poverty and decay in the 1970s and 1980s”. The article further noted: “[t]he country already has 25 of the world's 100-fastest growing urban areas, according to City Mayors, an international urban-affairs think tank, that compares with eight in China. 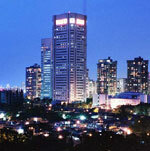 Pune, near Mumbai, has more than four million people, about the same as the Houston area. Kanpur, in north central India, has more than three million, as does Surat, in western India. India is expected to add 10 million people a year between 2000 and 2030 to its 5,161 cities, according to the United Nations. If India fails to get a handle on its new urban areas, it could be saddled with more bottlenecks and inefficiencies that could doom the country to years of subpar growth, says Dharmakirti Joshi, an economist at Mumbai ratings agency Crisil”. What this article also illustrated was that structural governance shortcomings, not just crumbling overburdened infrastructure, were part of the problem. Hence, while using the example of Lucknow, it further stated: “[p]art of the problem: Lucknow, like many Indian cities, is managed by a bewildering array of government bodies that don't always coordinate activities. In theory, Lucknow is led by an elected mayor and 110-member Municipal Corporation, similar to a U.S. city council. Together, they share oversight of basic services such as water, housing and roads. But in practice, the elected officials' authority is sharply limited by the half-dozen or more other government bodies that wield power in town”. He opened the article with the following statement: “[i]magine a puppet whose strings are being pulled by different puppeteers: the hands by one, the legs by another, the head and shoulders by a third. Sitting in the audience, the show would not look pretty. City governance in India is similar, being pulled and pushed in different directions  sometimes even torn apart  by a chaotic urban administrative set-up”. India’s civic NGOs also realise that large cities need decentralised systems affording a more efficient systemic response to the pressures of urbanisation. Their ‘vote Mumbai’ plan, which they hope can be extended across India’s growing cities, illustrates their understanding. And what is the current status of that plan approved by the State cabinet after strong central government support? Approved, yet not implemented in any form - illustrating again that the state-implemented bottlenecks reflected in the rural context are also alive in the urban one. Whereas, the Mumbai plan could be more expansive than it is in current form, as examples of decentralised systems outside India illustrate, the desire is constrained by the limits of the 74th Amendment, which needs to be amended to permit further amplification. The need for further amendment of the 74th Amendment Act was also appreciated by the 2nd Administrative Reform Commission’s report on local government. A thoughtful 400 page-plus report, it pointed out some of the shortcomings of the current local government constitutional amendments as understood by Commission members and staffers. While this author appreciates the deep thought reflected in the Commission’s report, what was most striking was that, as with previous attempts at review, there was no reflection of the understanding that local government structures can be an economic tool. Whereas articles, papers and reports in western countries discussing the potential for integrated local systems all highlight what an economic tool they can be - witness the article in the November 2008 issue of Governing magazine on the Stuttgart Region, also published on City Mayors - this has not been a focus of Indian discussions. Whereas, few countries have rural integrated local systems, there is an ever growing array of urban integrated local systems coinciding with the rise of urbanisation. This fact was not mentioned in the Wall Street Journal article, since there is little general awareness in America of this explosion going on outside the country  although, like India, there have been pioneering systems of this type dating back to the 1800s, such as the New York City system and the New England Town systems (though unlike the rural type in India, are urban examples). Both have unfortunately regressed in the face of advancement and evolution elsewhere, as exemplified in North America by the recent changes in Quebec’s largest cities. There, interested readers will also learn how former HudCo chairman Habitiat Jam discussed what he saw in China, which as systems outside China reveal are also hallmarks of productive integrated local systems. Below follows a discussion of the current Indian urban systems and the history of local government operations in India that influence them. The first municipal mechanism created during British rule was the Municipal Corporation introduced in Madras (Chennai today) in 1688, which was followed by municipal corporations in Bombay (Mumbai today) and Calcutta (Kolkata today) by 1762. Subsequently, Lord Mayo's Resolution of 1870 called for the introduction of an elected President in the municipalities. The current form and structure of municipal bodies is based on Lord Ripon's Resolution on local self-government adopted in 1882. Since then the structure of municipal bodies has essentially remained the same, even though the urban areas multiplied along with their increasingly complex problems. Statutory provision for creating a municipal unit is available in two forms. First, by statute that provides for the establishment of a municipal authority, as for instance in the form taken in the case of the Bombay Municipal Corporation Act in1888, the City of Nagpur Corporation Act of1948 and the Delhi Municipal Corporation Act of 1957. The other route is through statutory provision empowering State Government creation. The Bombay Provincial Municipal Corporations Act of 1949 and the Gujarat Municipalities Act of 1964 are both examples of the latter. Generally, these statutes confer significant control and supervisory powers on the state government. In this context, it can be said they are creatures of state government. Municipal election provisions in different states are not uniform. In some, arrangements for election are made by the state government, while in others Municipal Commissioners (executive officers) make the arrangements. Prior to the passage of the 1992 Act, urban local government was defined generally by the Municipal Corporations, Municipal Councils, Town Area Committees and Notified Area Committees. In this context, the structure and composition of municipalities varied considerably, with wide differences in definition and structure between states. Hence, the 1992 Act attempted to instil some uniformity in the constitution of the municipal bodies by classifying them as Municipal Corporations for large urban areas, Municipal Councils for smaller urban areas and what are termed Nagar Panchayats, suburban government bodies. The 1992 Act provided for the Twelfth Schedule which listed the functions of urban local units, along with their planning, regulation and development powers. It made provision for ward committees in areas exceeding 300,000 and the specification of the powers and responsibilities of municipal units and the ward committees. There is a requirement made therein for the holding of timely periodical elections and for the reconstitution of a municipal government within six months, should it be dissolved for any reason. Sources of municipal finance and their periodic review by a statutorily constituted State Finance Commission were also provided for by the Act, which also made it obligatory for the Central Finance Commission to recommend steps to support state resources for the assistance of municipal governments. The Act also provided for reservation of one-third of the seats for women and scheduled castes in municipal bodies. State Governments were to adopt the 74th Constitutional Amendment Act with reference to their respective municipal bodies to effect its purpose within their jurisdictions. Unlike rural bodies, urban government was not provided with a federated systemic framework (which is ironic, because since the 1950s outside India it has been urban regions that have seen the rising use of integrated federated systems). However, they do have direct access to state governments, something that is not open to rural governments which have indirect access through their relevant state bureaucratic representative - the District Collector and Divisional Commissioner. The 1992 Act provides for elected and nominated councillors. According to the size of the population of a particular unit, the number of elected councillors varies. Nominated councillors are to be chosen by the elected councillors for their special knowledge or experience in municipal administration. This model is also known as the Commissioner system, taking its name from the role of the city administrator who is generally a state-appointed officer. In such a system the Mayor in the Municipal Corporation is usually chosen through indirect election by the councillors from among themselves for a term of one year, which is renewable. The Mayor generally lacks executive authority. This is due to the British roots of the system that remain from the time when the administrator was the representative of the colonial power, not to the fact that it operates under a council-manager system (the subject of another article by this author on this website) whereby the executive would be accountable to the elected representatives. In this context, the indirect election of the Mayor combined with his short one-year tenure renders the role little more than that of a figurehead. Councillors act by committee, the most powerful being the Standing Committee with its role of the steering committee exercising executive, supervisory, financial and personnel powers. It is composed of elected members varying in number between seven and sixteen through a system of proportional representation of councillors. The Municipal Commissioner is the chief Executive Officer and head of the executive arm of the Municipal Corporation. All executive powers are vested in the Municipal Commissioner. Although the Municipal Corporation is the legislative body that lays down policies for the governance of the city, it is the Commissioner who is responsible for the execution of the policies. The Commissioner is appointed for a fixed term as defined by state statute. The Commissioner’s term in office can be extended or reduced. The powers of the Commissioner are those provided by statute and those delegated by the Corporation or the Standing Committee. This is the closest that India has come to the council-manager system, with the critical difference of accountability of the manager to the elected arm of government; and the fact that the power of the unelected executive arm of government is thus weighted in its favour. 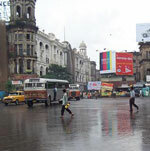 An alternative model to the prevailing Commissioner model is the one implemented in Kolkata, West Bengal. This model was introduced in 1984 and is known as the Mayor-in-Council form of city governance that can be described as a cabinet government replicating the formula operating at the state and national levels. This system is composed of a Mayor and a ten-member cabinet with individual portfolios chosen from among the elected councillors (in the context of Kolkata there are 141 wards in a single member ward system, rather than a multiple member ward system). It is in essence a hybrid between a mayor-council CAO system and the integrated federated framework. The Municipal Commissioner serves as the Principal Executive Officer subject to the control and supervision of the Mayor as the Chief Executive Officer in this model. The municipal Corporation groups wards into boroughs with each one having a committee consisting of the councillors elected from the respective wards of the borough. The councillors elect one among themselves as the chairperson of the borough. The borough committees are subject to general supervision of the Mayor-in-Council, and look after sublocal functions such as water supply, drainage, collection and removal of solid waste, disinfection and health services, housing services, lighting, repairs of certain categories of roads, maintenance of parks, and drains. It is perhaps best described as a transitional form of an integrated federated system, which seems to indicate that less of a study of urban federated systems was made outside India. Instead, what was attempted was a system that tried to create an urban variation of the federated rural system. It is commendable that this effort was made, since an urban variation is due for India which was one of the very first regions of the world where the integrated federated framework was implemented. One can contrast the Kolkata system to the Birmingham (UK) formula or the geographically closer new Karachi formula, which are both systems with a three-tier federated framework to place it in the context of these more defined models. (A description of the Karachi system can be found on this website in an article drafted by this author). The weaknesses of this model in practice have been that the borough and ward committees have been too dependent on the mayor-in-council arm of the system. There has been inadequate operational autonomy in the selection and execution of schemes and a lack of involvement with revenue-raising and tax collection. Another variant of this approach is known as the chairman-in-council system, where the Mayor is the Chairman of the Council. Municipal Councils are units designated for smaller areas than the Municipal Corporations. State statutes govern Municipal Councils. The Municipal Council, the President elected by the councillors from among themselves, the Committees and the Executive/Chief Officer constitute the structure of this type of municipal government. The size of each Municipal Council varies from state to state, with the municipal acts prescribing both the maximum and the minimum number of councillors with terms in office varying from three to five years. In some states the council Presidents are elected directly by the citizens. In a number of states the term of the President varies from one to three years and is not coterminus with that of the council. The President has a substantive position in the municipal administration and enjoys significant authority and power both in the deliberative and executive arms of the municipality. The powers and functions of the Municipal Council Committees are the same as those of the Municipal Corporation. In most states the state government appoints the Executive Officer. In some states the council makes the appointment, but his or her independence has been confirmed by making removal from office difficult - generally by a three-quarter majority vote. All municipal acts in India provide for functions, powers and responsibilities to be carried out by the municipal government. These are divided into two categories, obligatory or discretionary. Obligatory functions include: supply of pure and wholesome water; construction and maintenance of public streets; lighting and watering of public streets; cleaning of public streets, places and sewers; regulation of offensive, dangerous or obnoxious trades and callings or practices; maintenance or support of public hospitals; establishment and maintenance of primary schools; registration of births and deaths; removing obstructions and projections in public streets, bridges and other places; and naming streets and numbering houses. Discretionary functions include: laying out of areas; securing or removal of dangerous buildings or places; construction and maintenance of public parks, gardens, libraries, museums, rest houses, leper homes, orphanages and rescue homes for women; and public buildings; planting and maintenance of roadside and other trees; housing for low income groups; conducting surveys; organising public receptions, public exhibitions, public entertainment; provision of transport facilities with the municipality; promotion of welfare of municipal employees. Some of the functions of the urban bodies overlap with the work of state agencies. The functions of the municipality, including those listed in the Twelfth Schedule are left to the discretion of the state government. Local bodies have to be bestowed with adequate powers, authority and responsibility to perform the functions entrusted to them by the Act. However, the Act has not provided them with any powers directly and has instead left it to state government discretion. The Act does address devolution of powers and responsibilities. However, the devolution of powers commensurate with the relevant responsibilities is left to the discretion of the state government concerned. This leaves it open to the states to devolve powers, together with the challenge of determining whether what is devolved can be managed in terms of sufficient capability and money. In sum, the 1992 Act was a step towards modernising local government; although still doing so on the basis of the foundation of the earlier era. Currently, there remains the void that can be filled by establishing city regions that would embrace both core cities and the Nagar Panchayats, or intergovernmental cooperative bodies that could be a preliminary mechanism from which more substantive bodies could emerge. Both alternatives can be found in countries outside India. It could also be suggested that civil service personnel develop a local specialty, and the formation of capacity building mechanisms instituted to improve their performance in this context. One might also suggest that the civil service develops a vehicle for improving management skills. The failure to improve the coordination/collaboration problem between various urban agencies in a system that India has possessed since colonial times might also indicate a management skills problem. The fact that Delhi’s BRT attempt failed  which is a successful innovation from Curitiba, Brazil  and yet has been adopted with success by other cities, such as Bogota, Colombia, seems to underscore management weakness as being a systemic factor as well. There are examples in developing countries that Indians might want to look at, as there is now a history of civil service reforms that have been studied. The author also thinks of a source of guidance that one American example might provide - the city of Phoenix, Arizona. This is a council-manager city where, like India, bureaucracy has substantive powers in policy execution and service delivery. Unlike Phoenix, other cities in Arizona have not been able to replicate its success, perhaps because outside North Carolina US states do not have substantive capacity building systemic vehicles. In December, 2005, a National Urban Renewal Mission (NURM) was announced, which calls for the creation of other arrangements for improving service delivery, which may also affect the environment by adding even more confusion to the situation preceding it. The goal of NURM, however, is to upgrade urban infrastructure and to further reform the urban situation. The centrally devised program has identified over 60 Indian cities for the improvement program. Funding provision for the improvement is to be divided according to a defined ratio for mega cities and those with more than a million plus population. This is to be 35 per cent from the national government, 15 per cent from the states and the remaining 50 per cent from financial institutions. For other cities, the formula is to be 80:10:10. However, release of funding is tied to the states and their urban local units becoming signatories to a tripartite memorandum of understanding with the national government of accepting to undertake the reforms required. The reform agenda includes core reforms, mandatory reforms and five optional reforms. The core reforms include implementation of decentralisation measures as envisaged in the 74th Constitutional Amendment, the drawing up of public-private-partnership (PPP) models for development, management and financing of urban infrastructure the adoption of an accrual-based double entry system of accounting, passage of public disclosure law to facilitate quarterly performance information to all stakeholders and a community participation law to institutionalise citizen participation. The infrastructure upgrade plans have been confronted currently by the current credit crunch limitations. There is also the requirement for the states to transfer, over a period of five years, all special agencies that deliver civic services in urban areas and the creation of an accountability framework for all urban civic service providers during the transitional period. This, it seems, is an effort to reduce the “too many cooks in the urban kitchen” scenario that has so far prevailed. Its degree of success will be learned over the course of time  although, as the Wall Street Journal article indicates, this state of affairs remains the norm. Other core reforms include introduction of e-governance for property tax collections, with the goal of at least 85 per cent collection efficiency within five years and the introduction of similar practices in the case of financial accounting systems, work management, water tax billing and collection systems, the trade licensing system and the approval of building plans. Compulsory reforms to be undertaken by the states include repeal of the Urban Land Ceiling and Regulation Act, reforms to the rent control law to stimulate private investment, reduction of Stamp Duty to bring it down to no more than five per cent within the next five years and the introduction of independent regulators for urban services. It should be noted here that neighbouring Pakistan’s new urban systems saw the implementation of some of these steps taken when they were implemented in 2001. This author’s Karachi article can be perused by readers interested in learning more. In Pakistan, however, the current government shows the South Asian flaw in not appreciating the potential economic benefits that are delivered by operating such systems. Hence, there is a desire to go back to the familiar formulas which, like the description of the urban crisis in India, were proved unable to address the challenges of growing urban environments. Over the past couple of decades, India has seen the implementation and framing of efforts to modernise local government and has also revealed in the course of these efforts a commitment to local government that was hitherto a weak link in the Indian system. Nevertheless, it remains a system in transition that has room for further evolution to match its prevalent ground conditions. In addition to the areas to which attention has been drawn, the system also needs adequate quality control monitoring and capacity building mechanisms as well as additional reforms. *Mayraj Fahim, the author of this article, is City Mayors’ local government adviser. The full version of this article together with reference and source material can be obtained free of charge by emailing the editor, with 'India 2009' in the subject line. Please supply your name, contact details and, if applicable, your organisation/company/academic institution.